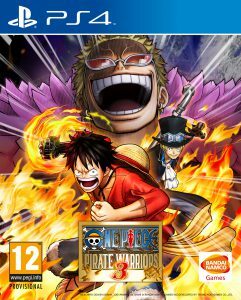 One Piece Pirate Warriors 3 Ps4 Review – Worth it? (For an interesting game code alternative and a way to make some extra cash, check our review of the innovative platform g2a here). Lets start with a basic overview of the game in this One Piece Pirate Warriors 3 Ps4 review. Much like its predecessors, it keeps featuring high action and there seems that not many big changes have taken place in the gameplay. The main feature Pirate Warriors 3 has though, is that it follows the canon story of One Piece from the beginning to the Dressrosa arc. It doesn’t deviate from the story the way the previous games of the series did. Its basic flaw in my opinion is the way the battles are disrupted. Although i like the cinematic cut scenes a lot, they are placed in between the climax of some battles, which can be quite disrupting sometimes. Overall, it is a game you will enjoy playing a lot, with a lot of action and full of fun. 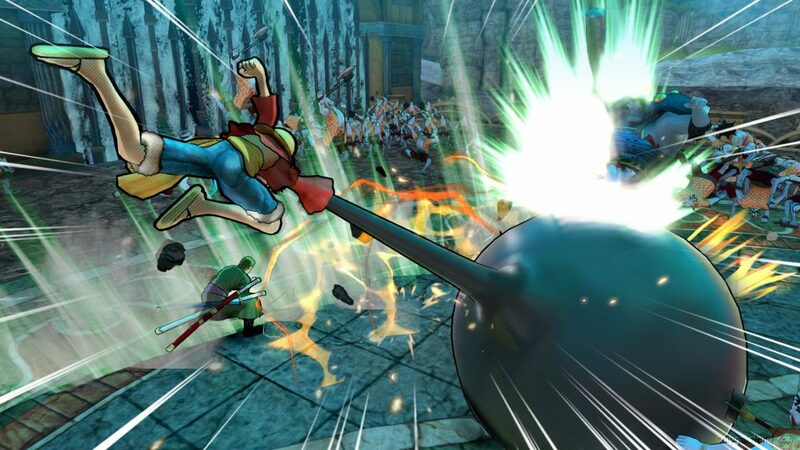 The whole style of the action in the gameplay is that of musou battles. You have to fight many characters at the same time, which is a lot of fun and suits nicely the abilities of the characters you control. We all know that One Piece features abilities which are over the top, and that cause mayhem to a big number of enemies all at once. On the other hand though, we want to stress again that we didn’t like the cutscenes during the battles that much. They disrupted the pace of the game and took away from the action aspect of it. With that being said, we have to say that the scenes were beautifully made and served an important purpose as well. 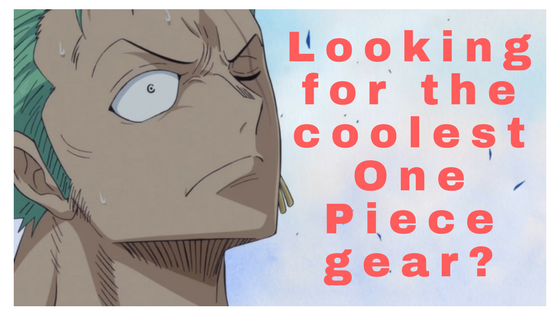 We all know that One Piece is big and it is quite hard to fit the plot of 700+ episodes in just 12 hours of action. That’s the reason so many cutscenes are used. They do provide a nice summary of the anime in little time, if you are new to it. It also gives you the ability to remember events that happened long ago, and just refresh your memory if you are a seasoned One Piece fun. What i liked a lot about the gameplay were the teammate attack combos. You can switch between different characters and combine their attacks wherever you find it more helpful. For example, gatling gun a swarm of Marines with Luffy and switch to Zoro to finish them off with a directed sword attack. Wicked if you asked me! While the game is also available for PC and also PS3 and psvita, we will focus this review on PS4. It is important to stress that the game runs beautifully on the PS4 and really smoothly. There is no problem to be seen on your screen, even if you jump around and wreck numerous enemies at the same time. The game runs smoothly as hell. Most objectives of the game are not that innovative, but the whole feel of catastrophe of the anime is present, without a single flaw in what you see on your screen. The whole format of the Warriors series of games is kept in Pirate Warriors 3 as well. There is a certain number of hours of the main story for you to complete, and as well as that you have many different extra modes available. Their purpose is to help you max out every character, which of course is boring to do through the main storyline only. 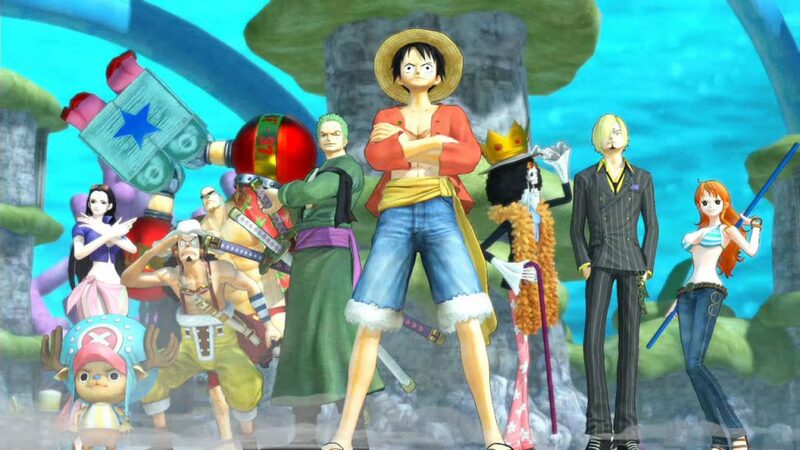 One Piece Pirate Warriors 3 has 2 predecessors. So why starting the story of One Piece again and condensing a story of 700+ episodes in a single game? I believe it was a controversial but good decision. The two previous games covered part of the story and made changes or ommited serious events. The fact that the third game of the series decided to start from a clean slate was an opportunity. An opportunity to follow the canon storyline and include events that were excluded in the previous games. For the sake of being complete i believe this had to be done and kudos to the developers for taking the difficult decision. This of course comes with one benefit and one drawback. The drawback is that a big story had to be included in a small game. The benefit is that it’s a good standalone summary for the veterans and a good introduction for the lazy newcomers of the One Piece universe. The main feature that i like about One Piece Pirate Warriors 3 is the co-op mode of playing. Apart from being really fun for you and your friends, it helps you pick up the pace of the game. You can simultaneously attack different parts of the map and defeat different enemies. That results in you progressing though the game in a much faster pace. The only problem can be when you both have big fights with extraordinary moves at the same time. That’s the only time in the game where you may see the frame rate go lower and lose the smoothness i raved about before. For the first time in the One Piece games universe we can play the Dressrosa arc. This means that we have in our arsenal many different interesting characters we’ve never experienced before playing. The only problem is that the game came out before the end of the Dressrosa arc in the manga. That means that we get a made up ending to the arc. But what more could they do? Lastly, the design of the characters is top notch and i believe even the most demanding will have nothing to say about the detail of the characters. So, we need to come to a conclusion in order to end this One Piece Pirate Warriors 3 PS4 review. Is it the best game ever? Of course not. I do believe though that it is the best of the Warriors series and one of the best One Piece games as well, along with Burning Blood. The main thing this game provides is fun and satisfaction. You can feel like a godlike creature beating up countless enemies, change characters to do your favorite combos and have a load of fun with your friends. What else is there to it? See prices for different consoles here. I’m a massive fan of the one piece cartoon and I’m just starting to get in to the comics/ graphic novels. I can’t believe I didn’t know there were games for this! Can I just start playing the new version, or would you advise I need to track down one and two and play them first? Hello Nathan. No, you can start with Pirate Warriors 3 as it starts the story from the beginning. After that check out Burning Blood, also awesome game! 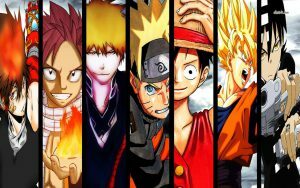 Previous Previous post: One Piece Worst Generation – The eleven supernovas war?